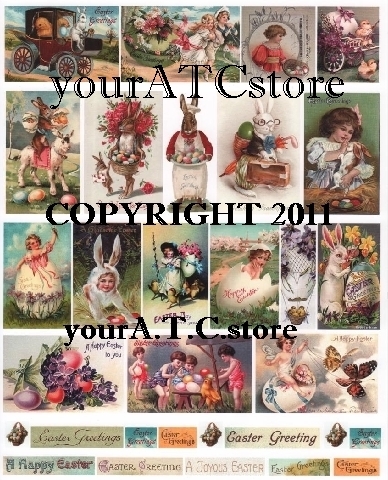 Ready for Spring? 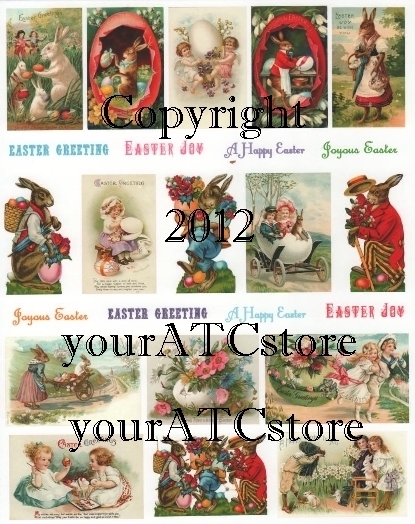 Our Easter collage sheets are full of Easter bunnies, Easter baskets, colored eggs, little chicks and more. 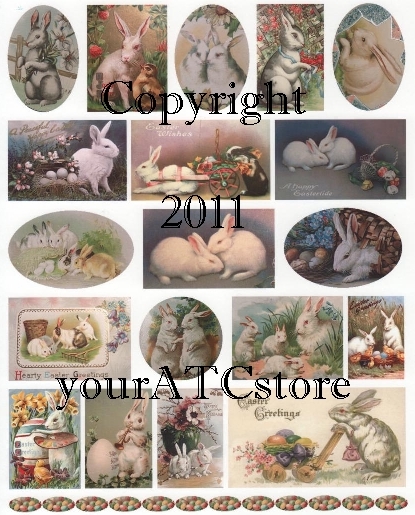 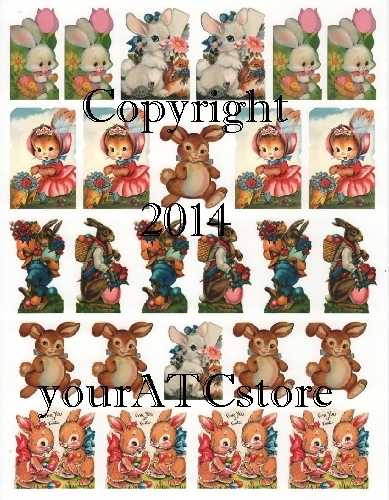 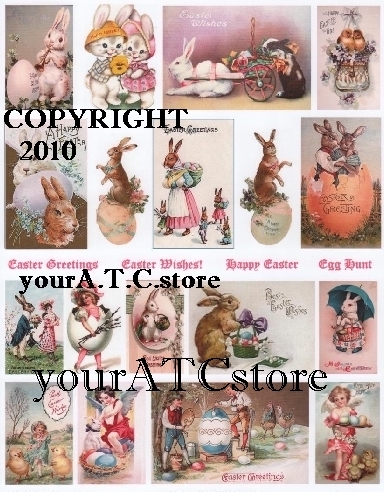 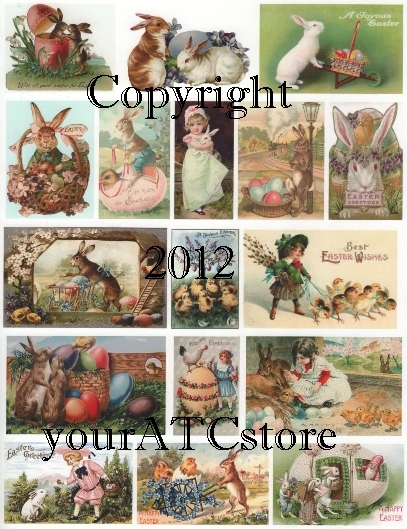 Beautiful pastel Easter collage sheets for your artist trading cards, Easter cards and other projects. 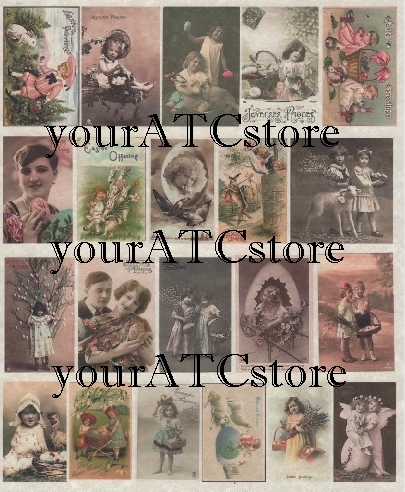 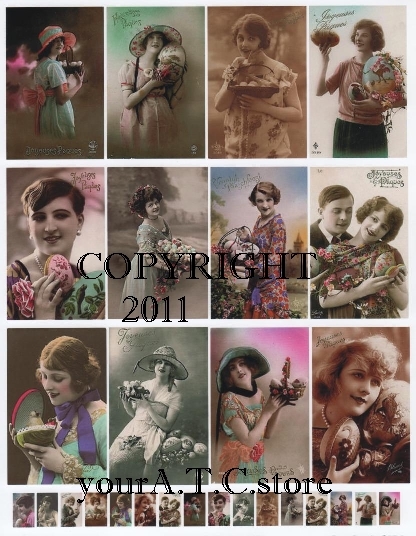 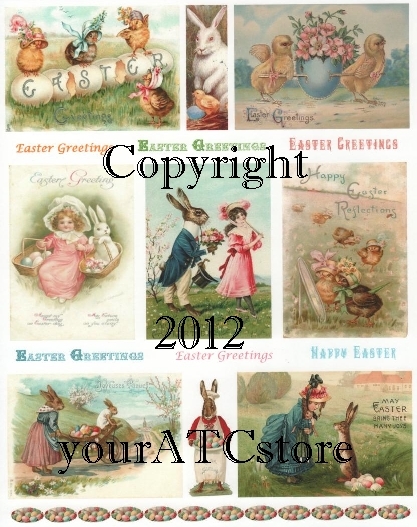 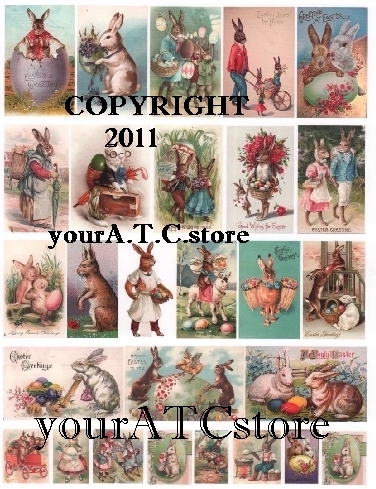 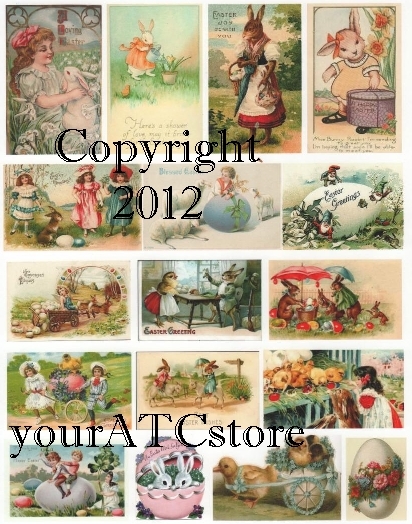 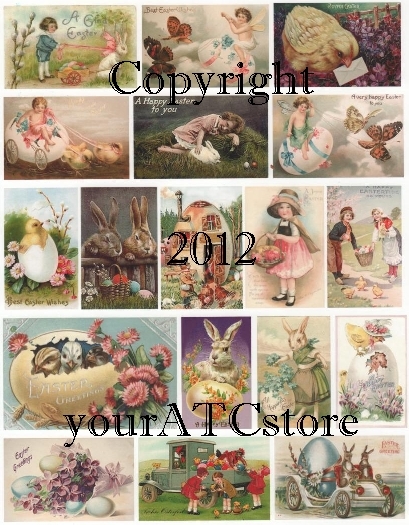 Gorgeous vintage Easter postcards and other Easter/Spring images.